I believe this application provided by BCR Comply can save time with inspections, recording, sharing and storing information. If following an inspection we can return to the office knowing that all the information collected on site has been stored, recorded and fully accessible to all the stakeholders, that will be reassuring and also free up time for other aspects of our work. 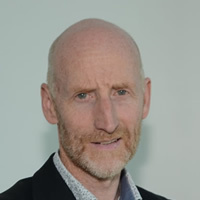 I am looking forward to using the product on projects and believe it will be beneficial and save a significant amount of time." Who is BCR Comply For? Assigned Certifiers and Design Certifiers are the key professionals undertaking building regulation compliance at design, construction and completion stage. Our software is designed to reduce your project administration at Design, Construction and Completion stage. Building owners undertaking new building works to which BCAR 2104 applies must employ a Design Certifier and Assigned Certifier. We take care of all your project information,inspections,communications, contacts and all documentation which are stored on our secure servers. 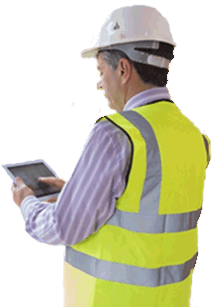 Construction Inspector enables you to carry out on site inspections on any mobile device and synchronize with backend project administration system where your report is automatically created. Your inspection reports are automatically formatted in backend software, you may edit and save as pdf document for distribution to stakeholders. 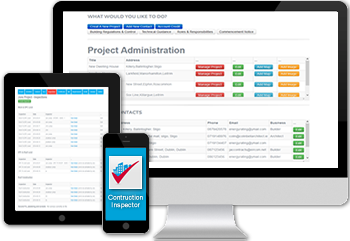 Your contacts and communication activities are stored within the software for each project. All your plans, specifications calculations and other compliance documentation in relation to each project is stored in our system for administration and distribution as required. Our in built calendar allows you to schedule all your inspections, information requests and deadlines. Why not set up reminders for all your activities?. The Building Regulation and Building Control Regulation information that you require is contained within our system so you don't have to go looking elsewhere for it. Our system compliments and works alongside the Building Control Management System (BCMS) allowing you to keep all your Building Regulation and Building Control documentation in digital format. All documentation,inspections, communications, contacts, drawings and specifications are stored on our secure servers, we also securely store your documentation for the 6 year period required under the new regulation.